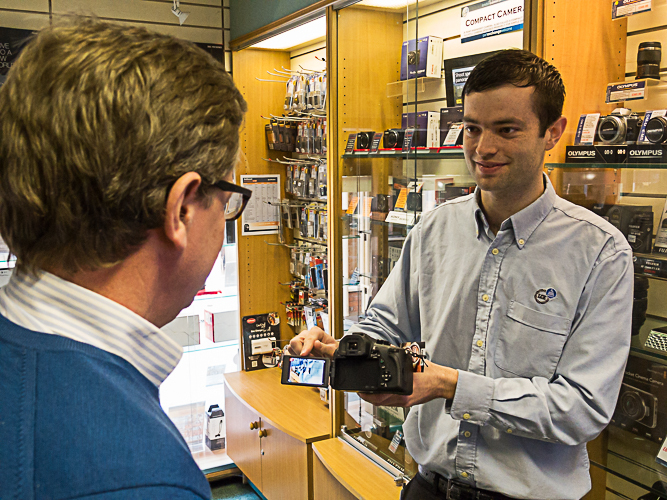 The London Camera Exchange Group is the largest family owned chain of specialist photographic shops in England. We have over 25 shops spread throughout England. Each store within the Group retains an element of individuality and carries most popular camera brands and models plus a range of stock including binoculars and telescopes many of which are chosen by its local manager and staff. If you are passionate about photography and its associated equipment and you think you would be able to contribute to our commitment to excellent customer service then we would like to hear from you. Most local sales vacancies are advertised in the shops and the best way to apply for these positions is to visit the shop and hand in your CV. Alternatively you can send an email to attaching your CV and clearly identifying the position you are applying for.